In the stress detox workshops in Istanbul & London we covered a range of techniques from mindfulness based CBT to progressive muscle relaxation. 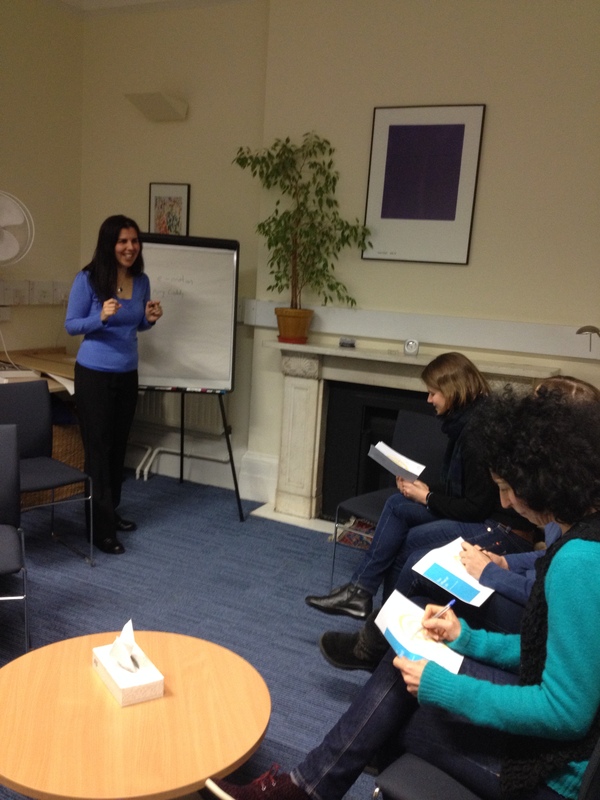 The most popular was the exercise in how to deal with the emotions in a stressful situation. When you have a few minutes you could try it too. All you need to do is to think about the stressful situation until you have a strong emotion about it. Then you locate the emotion in your body. Where do you feel it in your body? Once you know, you can just bring it out of your body in front of you. As it leaves your body imagine it turning into an object (or a shape) in front of you. What does it look like? What colour is it? Does it have a sound? Does it move? The next step is to make it smaller, lighter in colour, quieten the sound and let it move slower till it stops. It’s amazing how everyone’s object is very different from each other and how they change as you work through the visualization.